It's a bit late, but if you haven't made your end of year charitable donation yet, may I suggest giving to the Breast Cancer Fund? 2014 was a year of loss for my family. Breast cancer claimed the life of my husband's first wife and step-daughters' mother. 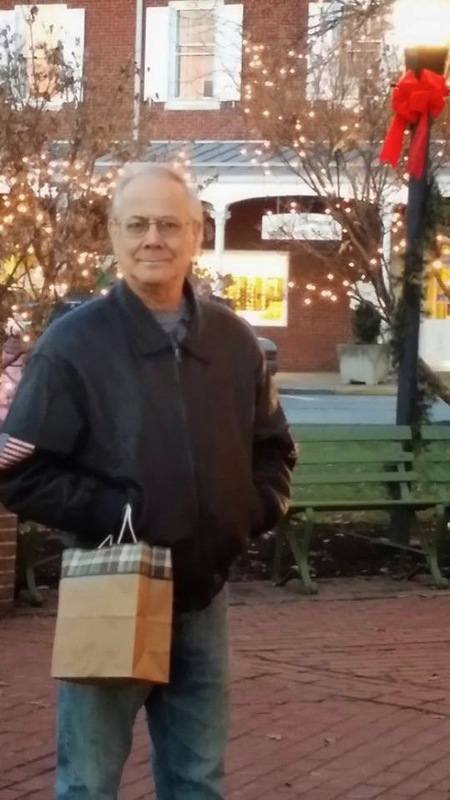 Prostate cancer stole the life of my husband's brother. Obviously, our hearts bleed and we want to see an end to this hideous disease that affects all of us. Building a cancer-free economy. Chosen by the Garfield Foundation and in partnership with the Lowell Center for Sustainable Production and BlueGreen Alliance, the BCF is helping to lead a new collaborative initiative -- the Cancer Free Economy Network. They are looking to engage over 100 advocates, scientists, sustainable businesses, foundations and other leaders working on cancer, toxics, green chemistry, and clean production. By searching for ways to lessen our economy's dependence on chemicals suspected to cause cancer and chronic diseases, they will shift investment towards products and processes that improve health and well-being for everyone. Demanding cosmetics without cancer. Look at the shelves in most stores and what do you see? 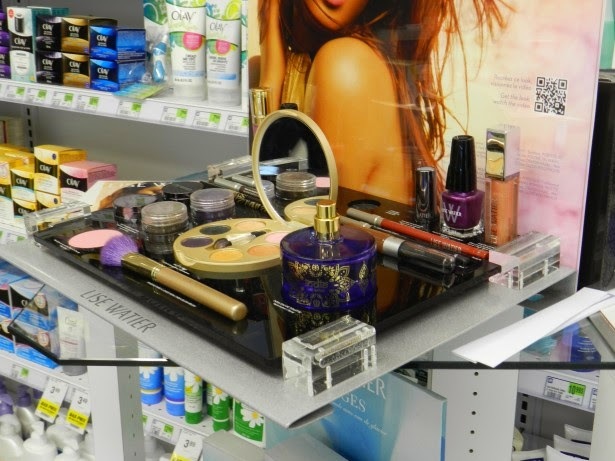 Cancer-causing chemicals in the majority of the cosmetics and personal care products. In 2014, however, there were significant changes to this picture because of pressure from consumers like you and me. Avon is phasing out the use of triclosan in its products, further decreasing the presence of this strong antibacterial and endocrine disruptor in our lives. Additionally, Johnson & Johnson committed to producing safer baby products. They heard our concerns and are reformulating in 57 different countries. Keeping toxic chemicals out of our bodies. Modern food-production has opened major avenues of exposure to environmental carcinogens and endocrine-disrupting chemicals. Pesticides sprayed on crops, antibiotics used on poultry, and hormones given to cattle expose us to toxic chemicals linked to breast cancer. The Breast Cancer Fund is advocating at the federal level and in California for policies that make breast cancer prevention a public health priority. 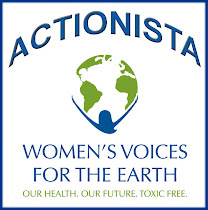 Notably, supporting the passage of the Ban Poisonous Additives (BPA) Act of 2014 which would keep the toxic chemical bispenol A out of our food and our bodies. 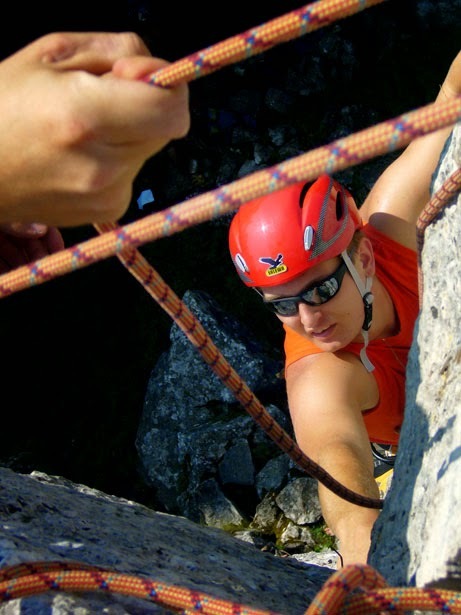 Scaling mountains for Prevention. The Breast Cancer Fund mountain expeditions raise awareness and money for the cause. In 2015, they will climb mountains in the Himalayas, New Hampshire, California, and Maryland. For more information, click here. 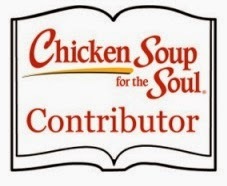 Of course, BCF cannot do it without the generosity of supporters like you. Please consider giving to, what I consider, the best cancer-related charity out there. The above information was derived from the Breast Cancer Fund newsletter, dated November 20, 2014. I'm frustrated, which is not a good way to start the last week of 2014. But seriously, I need to vent. 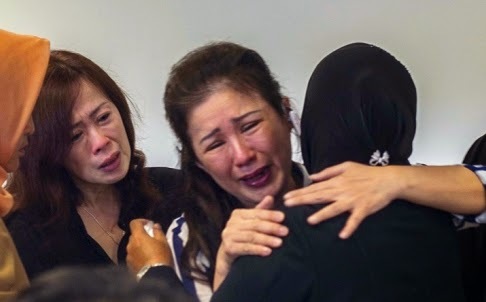 First of all, there is the tragic disappearance of AirAsia Flight 8501. That greatly saddens me, but what frustrates/angers me is some of the responses I've seen on Facebook. People are actually making jokes about this. Jokes! I scrolled down the comments on the WTAE-TV news FB post about the tragedy and was astonished by the coldness of some people's hearts. There were children and babies aboard that flight. Innocent lives appear to have been lost. And people think it's funny? When the news site posted that they fear the plane is at the bottom of the sea, a Steeler fan actually wrote, "And the Bengals are at the bottom of the river!" Excuse me? The second thing I need to vent about is car seat safety and how some people try to make this part of the "Mommy Wars" that include co-sleeping, breastfeeding, extended breastfeeding, cloth diapering, feeding schedules, etc. This infuriates me. The other things mentioned are a question of preference and personal choice. While there are proponents on both sides of each of these issues who strongly believe their way is the right or best way, car seat safety should not be lumped into this grouping. I don't understand how people don't get that. Yesterday, I posted a video on FB that shows a young boy letting his mother know exactly how he feels about her pregnancy. The video has gone viral. I didn't post it to show the "cuteness" of the boy and his rant, but rather to point out the fact that both children in the video are not safe in their car seats. And, of course, I, along with those who agree with me, got pounded for being self-righteous and judgmental. Let me ask you a question: When Michael Jackson hung his baby upside down over a balcony rail, were people being self-righteous and judgmental when they gasped and commented about how unsafe that baby was? Child safety is an issue I take seriously. Which means I'm going to get upset when I see babies in car seats propped up on the top of shopping carts or children improperly restrained in vehicles. And you should, too. These little ones have no say and cannot protect themselves from poor parenting choices. In many cases, it's simply because the parents are misinformed. And that is exactly why I will continue to post things here and on social media to try to educate parents so they do not suffer the devastating loss of a child because no one wanted to interfere or sound self-righteous or judgmental. It's not about Mommy Wars; it's about common sense. I often hear people say, "We didn't have car seats and we survived." Of course, you survived. The ones who didn't aren't around to tell you their side of the story. And, most likely, the reason you survived is because you weren't involved in an accident. Let me tell you a secret: When my children were young (back in the 80s), I kept them in car seats until they were a year old. After that, I simply strapped them into the back seat with a lap belt. Sometimes, I double strapped them. I had a friend with three small children and we used to go places with all five little ones strapped together in the back seat. Thank God we were never in an accident! 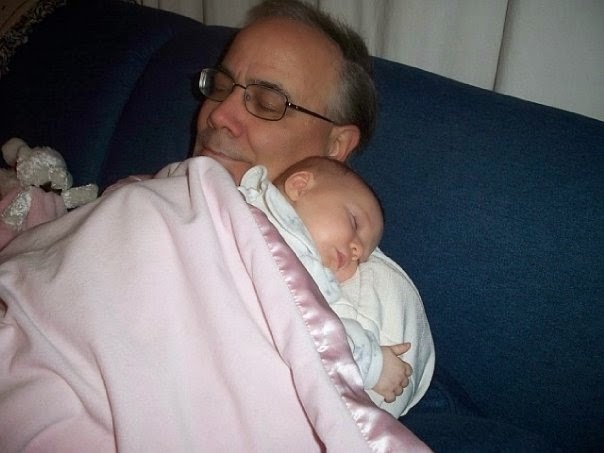 After my granddaughter was born in 2008, I found a car seat at a garage sale and bought it for her. That's what she rode around in whenever she was in my car for a couple of years. I didn't know any better. I didn't know that she shouldn't have been front facing at one. I didn't know that used car seats can be dangerous (they could have been in an accident or be expired, thus compromising their effectiveness and safety). I simply didn't know any better and wish I had. 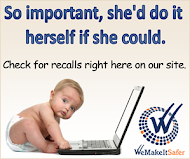 Yes, she survived, because, like with my own children, we were never in an accident. But countless other children were not so lucky during those years. Countless other parents and grandparents will spend the rest of their lives regretting their mistakes. So, do you really think it's being self-righteous and judgmental to comment on a video of a boy sitting in a booster seat in the car when he is clearly too young to be doing so? Or a baby, not properly strapped into a front-facing car seat which should be rear-facing? It doesn't matter that the car's not moving. Even if the mother does finally attach the crotch strap before starting the car, there is still the issue of the little boy's safety. He should be in a five-point harness. Call me self-righteous. Call me judgmental. But, please, don't infer that I'm taking part in the Mommy Wars. It's not a question of who's a better mommy. It's a question of safety. As a published author of over 60 children's books for Marvel's iStorybooks line and editor and narrator for over 200 children's books, I'm pretty picky about what I like and don't like when it comes to books for little ones. After all, much of my time is spent immersed in the world of children's literature. That's why it's always an iffy thing for me when I'm asked to review books of this genre. 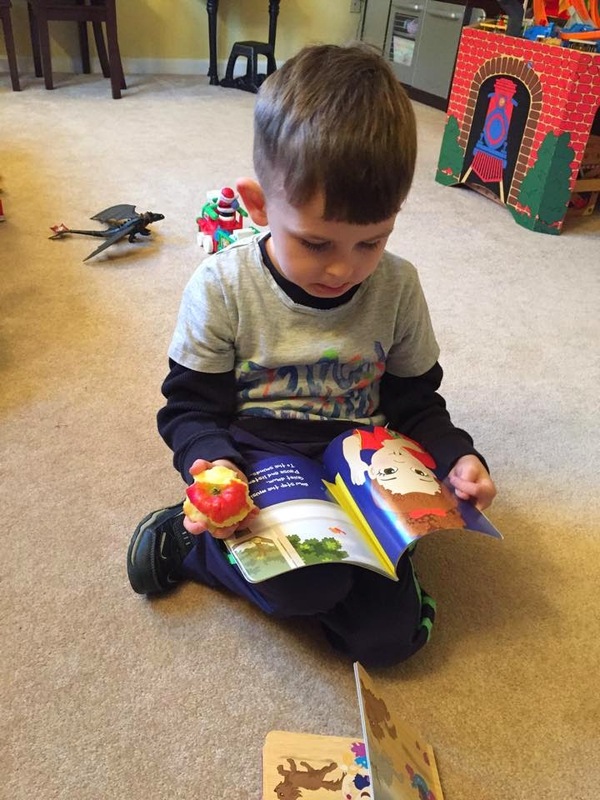 Earlier in the month, I received five books from the Pumpkinheads line and on Christmas day, I gifted them to my three grandchildren, ages 6, 4, and 19 months. The older children received the paperback books and the youngest got the sturdier board book especially appropriate for toddlers. I was happy to see there were books in the collection well-suited for each age. However, I was disappointed that the main character of each book was female. It would have been nice to see some boys featured here. Delightfully illustrated, the stories are charming and teach important lessons to children about caring for the earth (Carmin Cares), sharing (Ella's Toys),listening to nature's music (Sage's Song), the need for affection (Love Monster Lulu), and accepting/loving the person you are (Danza's Message). For the most part, the books are an enjoyable read. But, as an editor, I couldn't put my imaginary red pen away as I read the stories, as occasionally the rhyme is forced and the meter is off. Seriously, though, it's not enough to bother the youngsters as they learn the valuable lessons in each book. The series is available on the Pumpkinheads website (click here), where you'll also find online activities such as coloring, worksheets, art activities, videos, a read-aloud story about courage, and more! It's a great website for young children to explore. Also be sure to visit Pumpkinheads on Facebook. 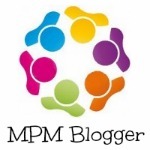 Award-winning author, Karen Kilpatrick is a mom of three (a 12 YO boy and 7 and 8 YO girls). She's been writing and telling stories to her children for as long as she can remember. When she lost her own mother at a young age, she found herself combing through the letters she had received from her over the years, searching for nuggets of wisdom and guidance. Karen thought about how amazing it would be to share some of her powerful life lessons through fun and simple children's stories. So she decided to take the leap and transition from her career as an attorney to pursue her passion. Pumpkinheads is based on the belief that messages matter. She states, "When you start early with little things, those little can then grow into big things. Education is the most powerful tool for change and as much as we can lay an early academic foundation for our children, we can also begin to give them the tools they will need to feel good about themselves, know that their voices count, and know that they can do good in this world, whatever their chosen future professions may be!" Karen Kilpatrick also writes short stories for adults, which can be found in several published collections. She lives with her husband and three children in Florida. We're giving you the chance to be among the eight lucky winners who will each receive the whole Pumpkinheads book set. Just enter below. Good luck! Disclaimer: The participating bloggers may have been compensated for this post. No purchase is necessary to enter. One entrant per household, per address. Void where prohibited by law. Winner(s) will be contacted by email and have 48 hours to respond before a new winner is chosen. The sponsor(s) will be responsible for product shipment to winner(s) of this sweepstakes. This event is in no way administered, sponsored, or endorsed by, or associated with, Facebook and/or Twitter, Google, Pinterest. Contact brookedoesitall@gmail.com if you have any additional questions or comments. Every once in awhile, my body screams STOP and I simply have to slow down. That happened about a month ago, right after Thanksgiving. I didn't honor my body's urging, and now I'm paying the price. 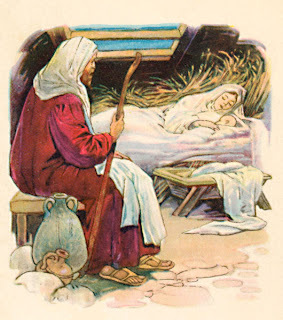 With Christmas just three short days away, I'm a little concerned I'll be spending the day in bed. So... I'm taking a break from the blog for awhile. It might be a week. Maybe shorter. Maybe longer. I just hope you'll be around when I reemerge. Wishing you peace as we wrap up this year. Disclosure: This post contains an affiliate link. That means, if you click it and make a purchase, I'll be making a commission. Lovely title, isn't it? My husband, who doesn't like to talk about body functions, would be appalled! But, the truth is, if you've ever bathed a baby, you've dealt with this issue. So when it happens, what do you do? First of all, relax. As long as it came out of your baby (and isn't some errant doggy defecation or something), just scoop it out, toss it in the toilet, rinse out the tub and start all over again. Keep in mind, your baby's skin is well acquainted with his poop. When it comes to peeing in the tub, there's nothing to worry about here either, unless your little one has a UTI. Urine is sterile and contains urea, which is a known antifungal, antibacterial and antiviral agent. As a matter of fact, many commercial ointments and lotions contain urea (check the ingredient list) and there are proponents of urine therapy out there that not only recommend applying urine to the skin, but advise drinking it as well. I know....ewww. The healing benefits are out there, folks. Some even try to bring the wisdom of Solomon into the picture, by quoting (or misquoting, perhaps) Proverbs 5:15 -- "Drink water from thine own cistern and the streams of thine own well." But we're not going there. So grab some organic and safe baby wash, such as Earth Mama Angel Baby Shampoo and Body Wash and fill the tub with some warm water. 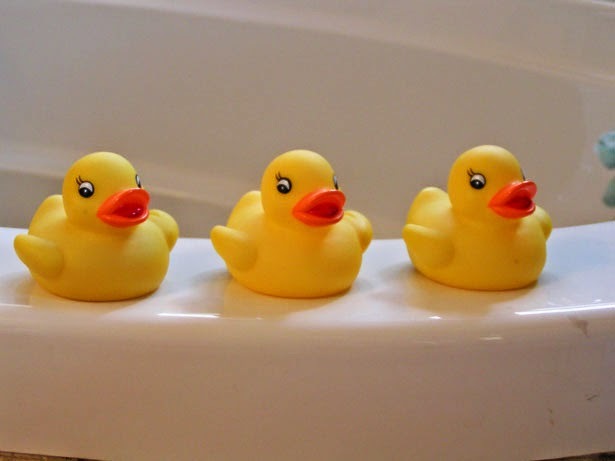 I know you don't need this reminder, but I'll post it anyway -- Never, never, never leave your little one, even for a minute, alone in the tub. 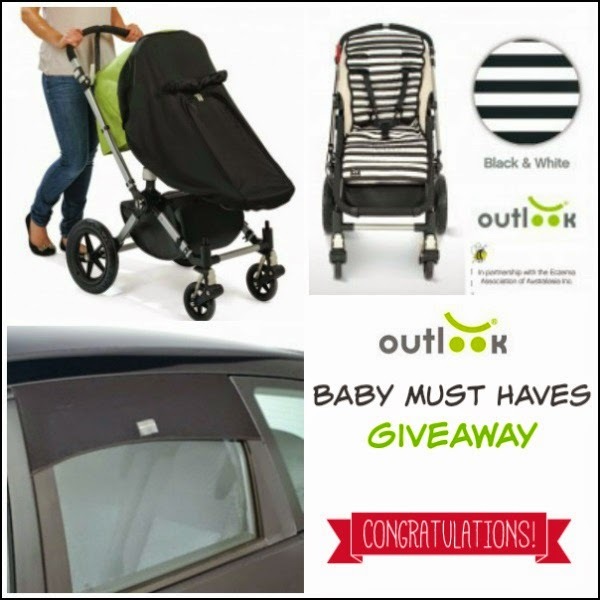 Outlook Baby MUST HAVES Giveaway! Whether you are expecting your first or fourth child, you know there will be things you will need to help you make it through those early months with ease. Outlook has everything your baby needs to make those newborn months easier. New moms often need those little things the most. Things that add just a little extra peace of mind, safety or comfort are usually the ones moms love the most. We love the Outlook Sleep Pod for new babies. This cover works on car seats, strollers and baby carriers to protect your baby from wind, rain and sun. This is a great adjustable cover that works to shade your child, give them dark for rest, or simple protect them from the elements as you go in and out of stores. While it is most often used for infant seats, it is adjustable to fit on strollers for children up to 4 years old! This is a great investment that will provide your baby comfort while giving you peace of mind. Another great addition to a new mom wish list, are the Cotton Stroller Liner available on Outlook. Strollers are often rather hard and uncomfortable for your toddler to sit in. If you like to offer a bit of extra cushion and fashionable flare to your stroller, these are perfect. Available in multiple patterns to match the hottest looks in baby gear, they are simple to change in and out. These cotton stroller linens offer some extra comfort while upgrading the stroller to a more fashion friendly look. Not only do they work in strollers, they are perfect for baby carriers too! However, do not use in car seats as any amount of fluff compromises your child's safety. For more information about this, please click here. Giveaway ends December 30th at 11:59pm, open to US residents, ages 18+. Only one entrant per household, per address. Winner is subject to eligibility verification. Enter using the giveaway form below. A free recipe book featuring an original GG recipe PLUS a chance to win 10 products from Wild Oats Marketplace! Who doesn't love fabulous recipes made with wholesome organic ingredients? I know I do. That's one of the reasons why I contributed Green Grandma's Sugar-free Apple Cheesecake Dip recipe, made with cottage cheese, no sugar added applesauce, cinnamon, a tiny bit of stevia, and, of course, apple cider vinegar. Sooo good. 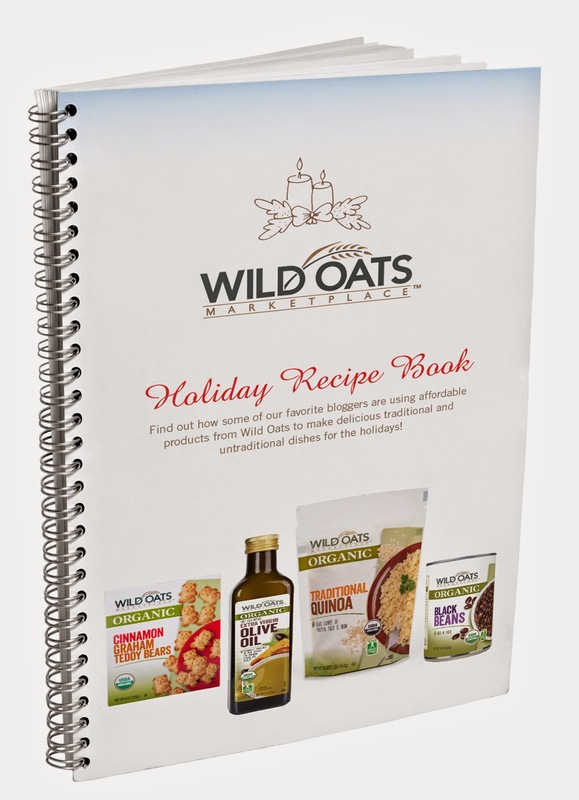 The WILD OATS MARKETPLACE HOLIDAY RECIPE BOOK is available for download for FREE. Just click the above image. Entries will be verified and winner has 48 hours to respond to my email prior to an alternate winner being chosen. When I was a child, I longed for one thing, and one thing only, for Christmas. Year after year, I ran down the stairs on Christmas morning and scanned the boxes, looking for the one that would be the answer to all my hopes and prayers. And year after year, I was sorely disappointed. What I wanted wouldn't actually fit in a box under the tree, however, so what I was looking for was proof that my real present was waiting for me in the backyard, or down the street. 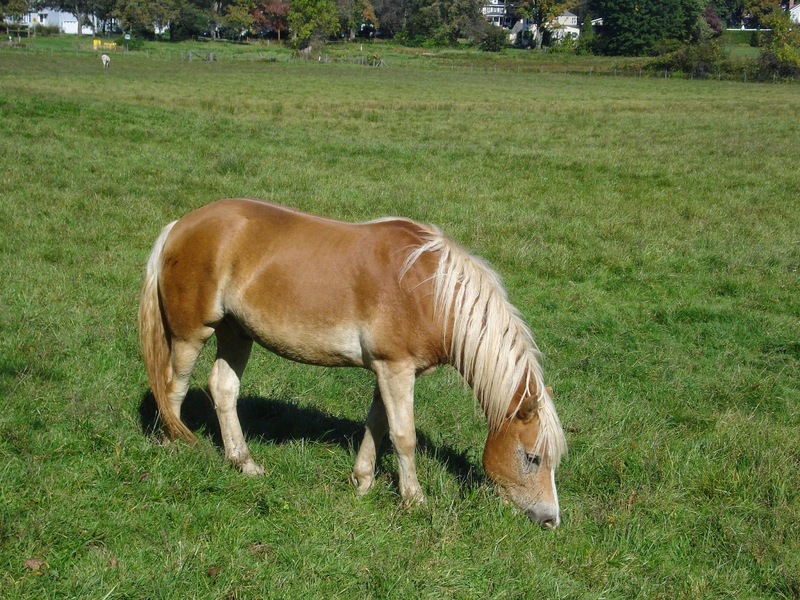 You see, like many little girls and boys, all I wanted was a pony or a horse of my own. I ripped open larger boxes, hoping to uncover a halter, the way 16-year-olds rip open smaller boxes, hoping for a set of car keys. It was my only focus. 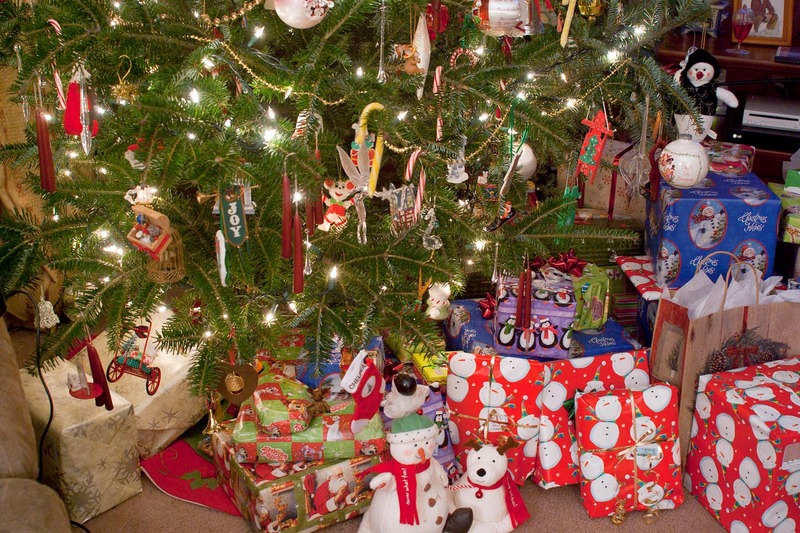 After all the gifts were opened, I waited for my mom or dad to say, "Oh, we forgot one. Hana, we left one for you out in the backyard." In my mind, I rehearsed how I'd act nonchalant and say, "Really? You already got me so much. I can't imagine anything else you'd have for me." And then I'd casually walk outside, my heart beating like the sound of hooves pounding the ground in a full canter, and feign surprise as I wrapped my arms around the neck of my equine-dream-come-true. Instead, what I'd hear was, "Who wants breakfast?" and my dreams came crashing down around me. Eventually, in my final years of high school, I gave up. I settled for riding lessons, horse camp, and going around town atop friends' horses or driving friends' pony carts. I learned early on that we don't always get what we want, despite our heartfelt pleas and dream boards. While dream boards weren't necessarily called that back in the 60s and 70s, I still had them. Pictures of horses were plastered all over my bedroom. I woke and went to sleep each day surrounded by the visualization of what I wanted most in life. And you know what? It didn't happen and that's okay. Somehow, the need to fulfill our children's every whim seems to be part of a new method of child rearing these days, and it concerns me. When did the tide turn? I imagine it hurt my parents not to be able to give me my heart's desire. But, for whatever reason, it was not feasible for them. Does it still tug a little at my heart when I think of the oft-repeated Christmas morning disappointment? Sure, but that's okay, too. When were we ever promised everything we wanted? I fear for the children who are being raised by these kind of "yes" parents. What's going to happen to them when they grow up and face the real world? What will they do when a boss or a spouse says "no"? As you know, disappointment is a part of life and I firmly believe it's something children should learn as they mature. From the "No, you cannot have a toy from the bubble gum machine," to the "No, you can't go to the party at Alexis' house when her parents aren't home," kids need to graduate from tiny disappointments to larger ones so they are able to adapt when the really big ones come. It teaches them to roll with the punches. Of course, that's only my opinion and I've kind of side-tracked from the point of this post. I was thinking about it and just wanted to share my biggest Christmas morning disappointment. What was yours? I'd love to hear your stories. It's Throwback Thursday. Today, we're going back to a post from December 2010. It's an important one I felt was worthy of sharing again. The Christmas Countdown has Begun. This book can help and 3 readers will win a copy! Disclosure: This is a sponsored post. I received product and/or compensation in exchange for the possibility of a review. In the middle of cooking Thanksgiving dinner, her brand new induction cook top quit working. It just shut down. Yikes. The new repair part arrived this week and, naturally, it was broken in half. A couple of days before Thanksgiving, a tree fell and hit her house. Not knowing you shouldn't put snow globes or candles in the attic where the heat is a bit extreme during the summer, she started decorating for Christmas only to discover a real mess. The snow globes empty and the candles melted all.over.everything.else. Yikes again. Her brand new refrigerator is leaking from the hot water dispenser. Yet another call to the repair people. Sigh. Her 19-month-old no longer wants to sleep through the night. Yawn. I won't even mention the head lice. Yuck. Her mother is too busy with work and other personal issues to help her out. Seriously. The decorating is not done. The grocery shopping is not done. The open house is just days away. Is anyone feeling stressed just by reading this? While it's a bit late to plan for a stress-free Christmas season for this young mom or for the rest of us, it is the perfect time to order a book that will help us do just that next year. 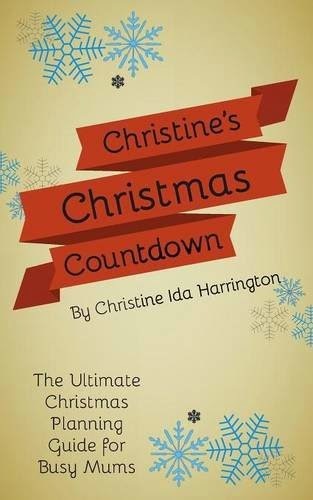 CHRISTINE'S CHRISTMAS COUNTDOWN by Christine Ida Harrington is the perfect solution for every overworked, stressed out mom who needs help preparing for the holiday season. Harrington offers common sense planning, all neatly mapped out in a handy guide, complete with checklists, dates to remember, grocery lists, gift ideas, and more. Starting in September, Harrington leads you through the step-by-step preparations. She even offers tips on losing weight, starting 12 weeks before Christmas actually arrives. She's basically covered everything. October is full of more tips for easing the load come December. In November, there are party planning pages, with a special place to note dietary restrictions for guests. While this didn't used to be a big deal, more and more hosts are realizing the need to plan according to these restrictions. 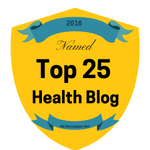 Nut allergies, gluten intolerance, etc. can be real issues for people attending parties over the holiday season. 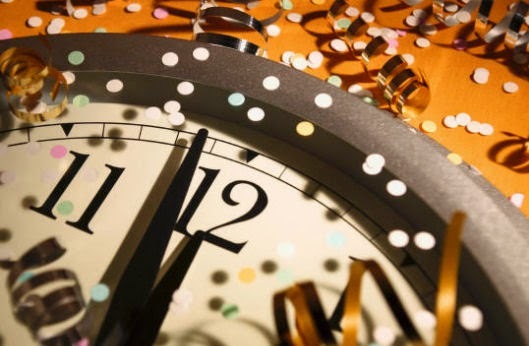 Noting these dietary needs ahead of time can help reduce the stress when it's time to party! By the time you reach December, provided you followed the guide Harrington's mapped out for you, you should be breathing easier than in years past. This is doable. Lists can be written for items to be purchased early (like mealtime staples) and items to be purchased late (like produce, dairy, etc.) There's even a chart for timing your meal preparation. Basically, Christine Ida Harrington did not miss a beat. She covered it all in this short little must-have guide to stress-free, or at least stress-less, holidays. Of course, as a professional editor, I did trip over some glaring oversights of repeated typos. For example, on October's Event Checklist, the first 'n' in function is missing every.single.time. Cringe. And I had to keep reminding myself that this is written in British English, not American English, so there are variations in spelling and traditions. But all in all, it is a handy little guide that is sure to helpful to any busy mom (or mum) out there. Buy one as an early Christmas present for you, and then figure out who else on your gift list could use a few tips on reducing stress from September through December and order a copy for each of them as well. CHRISTINE'S CHRISTMAS COUNTDOWN sells for just $6.99, so it's affordable enough to be a great present for teachers and service providers, too. Would you like to win a copy of the paperback book? Of course, you would! We'll be giving away 3 copies. Just enter below on the Rafflecopter. Entries will be verified and winner has 48 hours to respond to my email before an alternate winner is chosen. But hurry! Contest ends at midnight EST on Sunday! It's beginning to look a lot like Christmas and I'm just not feeling it this year. There's just been too much sadness. Lately, I find myself tearing up over nearly anything. Even though it's my second Christmas without my mom, this year seems to be even worse for me. It seems like I miss her with every single fiber of my being. Every.single.one. I go shopping and see something she would like. I cry. I hear a favorite song of hers. I cry. I unpack a Christmas decoration that was hers. I cry. That's just how it is for me right now. Add to that the loss of my husband's brother in June. Tom loved Christmas... perhaps more than anyone else I've ever known. I guess it was sometime after his cancer diagnosis 18 years ago that he reconnected with his inner child. Once he discovered that joy, he was determined to bring it out in everyone else. Especially his, sometimes too serious, brothers. 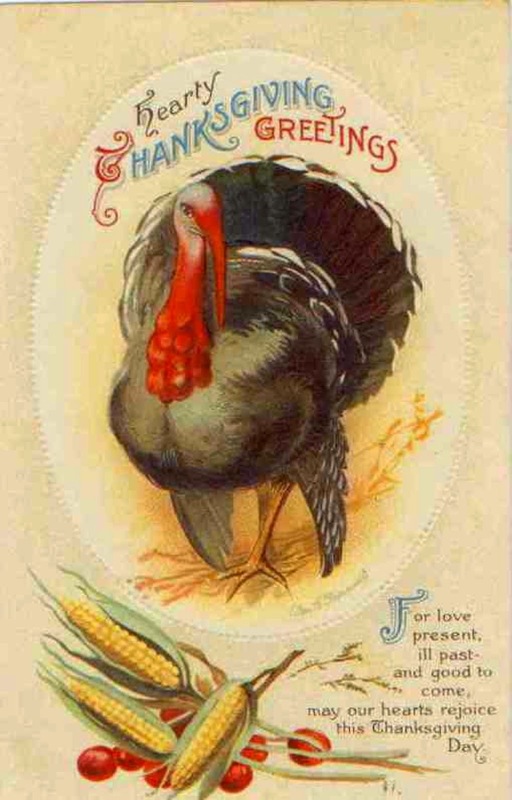 Every year in December, the four brothers and their wives gathered at his house for a lovely dinner with he and his wife, followed by a competitive game of Taboo. It was always men vs. women and the evening was full of laughter. Last year's gathering was the final one for all of us. Now there is one missing and we can't seem to bring ourselves to doing it again. Not this year, at least. 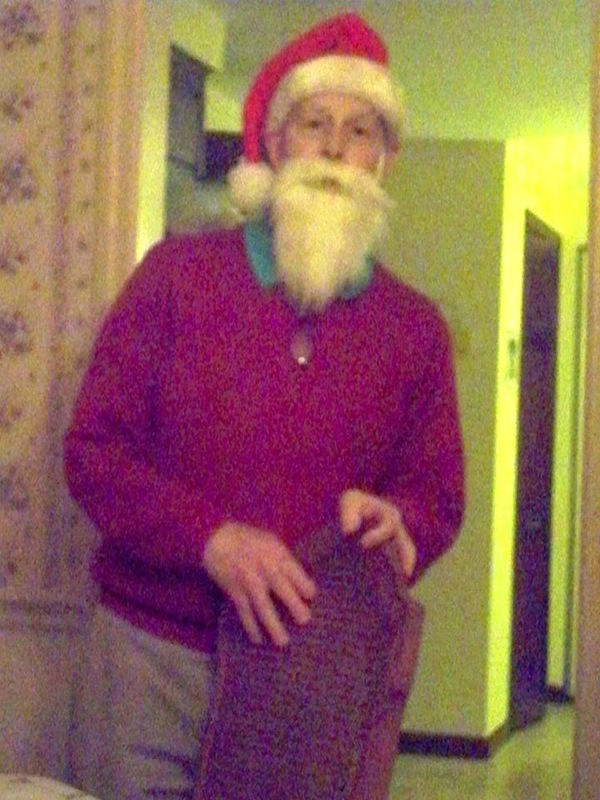 As Bill and I attempt to decorate this year, there is an air of heaviness surrounding us. 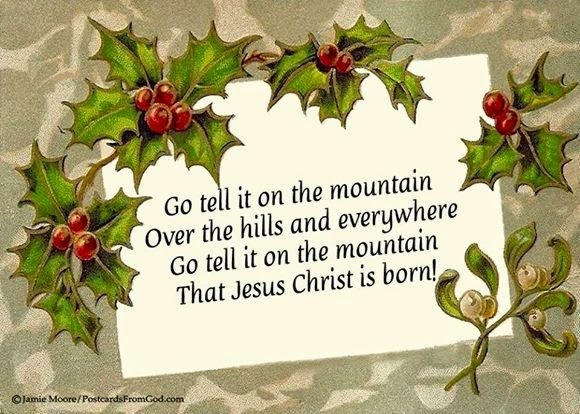 The Christmas music plays, but our voices do not join in as they have in the past. It's not that the joy of Christmas is gone. It's just that our hearts are so heavy. So, we decorate a bit, we cry, we share memories, and we hug. A lot. If you're going through something similar this year, you have my condolences. This normally happy time can be brutally painful to those who have lost loved ones. I hold you in my heart, dear one. 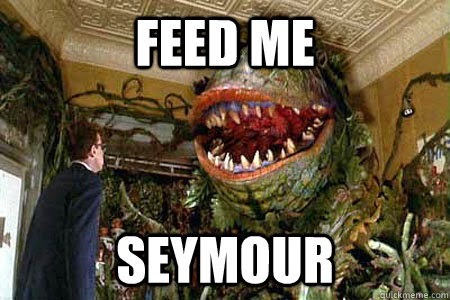 Vinegar Friday -- Feed Me Seymour! It's the final Vinegar Friday of the year and, considering the season, I thought it would be a good time to focus on how to preserve live Christmas trees. The secret? You have to feed them. Oh great. It's not like I don't already have 5,000 things to do. I know, I know. But it's really not that hard. Do you remember the movie, LITTLE SHOP OF HORRORS? I love the movie. It's funky. It's fun. And it has catchy tunes. If you haven't seen it, it's about a plant that needs a special plant food every day... blood! But don't worry, there will be no finger pricking for this Christmas tree food recipe. It's just three simple ingredients. Mix them all together and feed/water your tree. The food (light corn syrup) helps nourish the tree and the acidic quality of the vinegar helps the tree to drink up. Cheers! 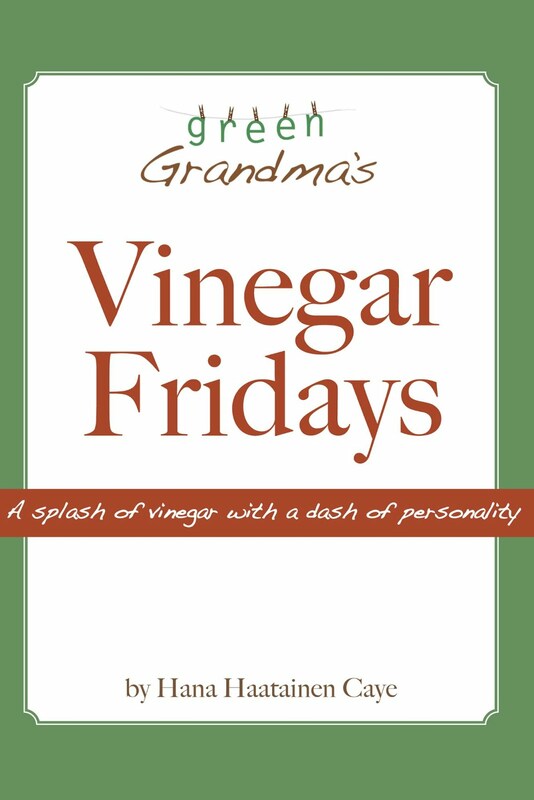 Here's wishing you a merry Christmas tree and a very happy Vinegar Friday! I'd love to hear some of your holiday tips. Please comment below if you have something to share with the community to help everyone have a greener Christmas! Throwback Thursday -- A poem I wrote in 2010 regarding the temptation of infidelity. 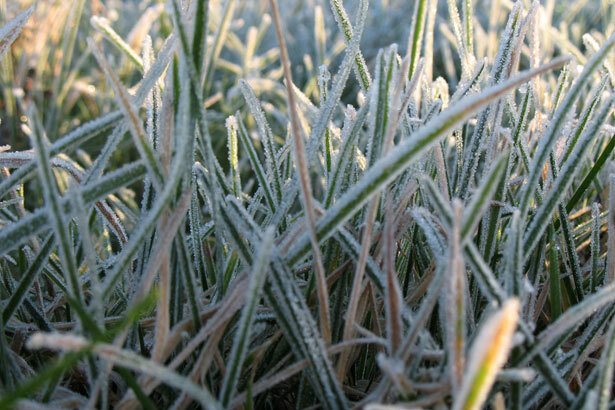 How foolish to succumb to the temptation of the greener grass. Don't you know that winter always comes? thriving and growing in the light of the sun. and wait patiently for the spring thaw. There is something unplumbed in the perennial. 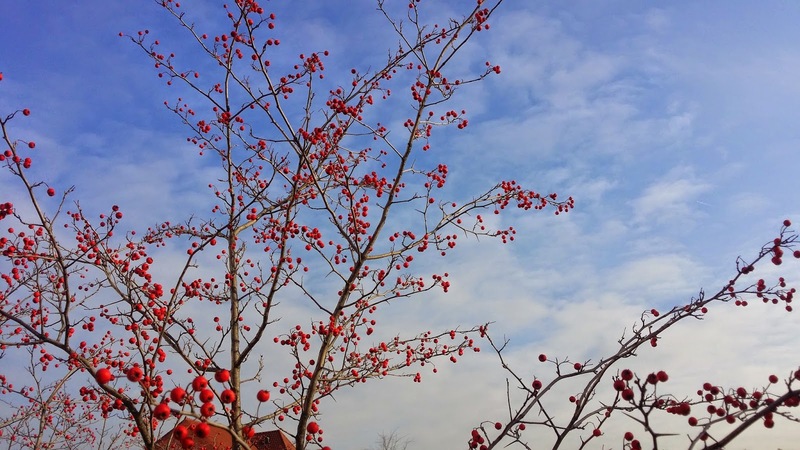 Share a Tree -- it's easy and it MATTERS! 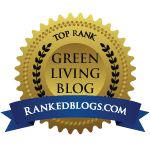 Disclosure: I received gifts from Green is Universal and the Arbor Day Foundation in exchange for this post. How important do you think it is to plant a tree? How about a forest of trees? Well, starting tomorrow night at 8 p.m. EST and ending on December 31, 2014, you will have the opportunity to take part in Share a Tree, an annual campaign to plant 1,000,000 trees by the end of the year. And all you have to do is head over to their virtual forest and decorate once of their trees. Then share your tree on social media. The forest includes about 40 trees drawn by celebrities like Al Roker, Dolvett Quince, and Meredith Vieira. Of course, if you're not in the mood to decorate a tree, you can choose to share a "Celebratree" instead. It also counts when anyone on Twitter who retweets or shares someone else's tree with the hashtag #ShareATree. 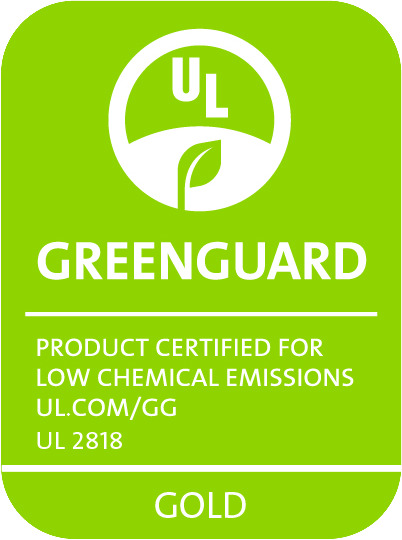 For every 25,000 shares, Green is Universal will donate $5,000. The Share a Tree Program helps the Arbor Day Foundation plant trees all across the U.S. in our national forests, state forests, and state parks, including Michigan's Mackinaw and Ausable State Forests. 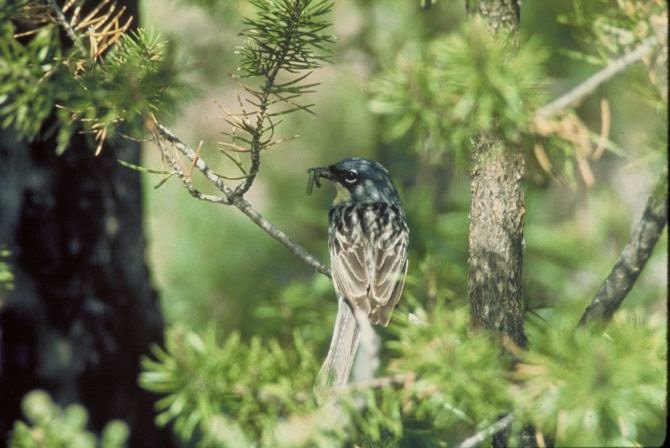 Jack pine trees will be planted to improve the habitat of the endangered Kirtland's warbler. This neotropical migratory songbird's breeding habitat is almost exclusively confined to young, dense Jack pine stands in the area. Today, Kirtland's warblers are found in only ten counties on Michigan's northern lower peninsula and four counties in the upper peninsula. Thanks to the efforts by the Arbor Day Foundation's replanting partners, the numbers of singing males have increased from less than 200 to more than 1,900, bringing the species back from the brink of extinction. So let's all do our part. I mean, really, how hard is it to RT with the hashtag #ShareATree, or to get your creative juices flowing by decorating a virtual tree? 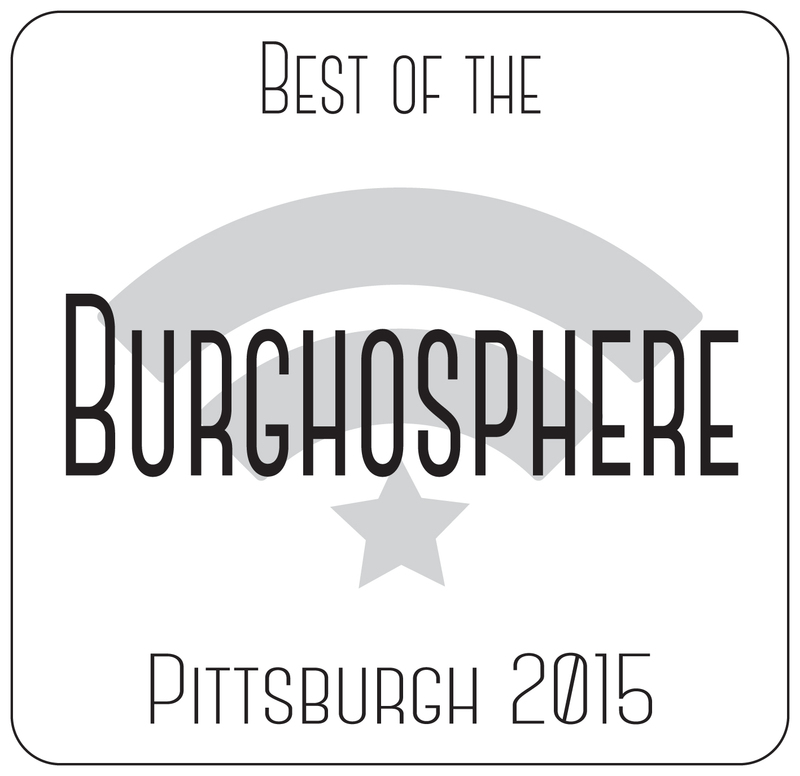 Just click here after 8 p.m. Wednesday night. 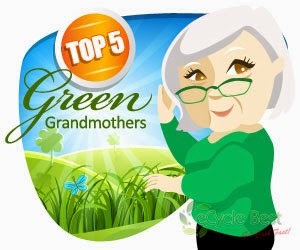 Let's show them that the Green Grandma community cares and let's do it! Join the #ShareATree Twitter Party during the #RockCenterXMAS Tree Lighting 12/3 8-10pmET! 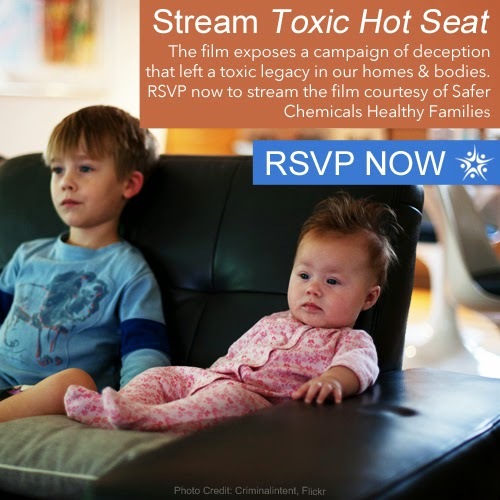 Starting today through Dec. 7, 2014, Toxic Hot Seat will be streaming on the Safer Chemicals, Healthy Families website. Now is your chance to view this groundbreaking film by filmmakers James Redford and Kirby Walker who tell the story of a growing movement of journalists, activists, and citizen groups who are making a difference by bringing an end to the manipulation and misinformation about hidden toxic chemicals. An educated public is a dangerous public... at least that's the mantra many corporations subscribe to. But the tide is turning. Let's all be a part of it! Click here to RSVP to this special week-long screening. If you're like me (and you probably are on this one! 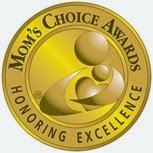 ), you love Earth Mama Angel Baby and their wonderful line of products for babies, mamas, and even grandmas! So get ready. One week from today, EMAB is offering a whopping 25% off every single thing. Note: that's every single thing, which means it excludes bundles. From 12:01 a.m. to 11:59 p.m. PST TODAY, December 1st, all regularly priced items are on sale at 25% off. This is one sale you don't want to miss. And you don't have to fight traffic or stand in long lines to grab some of these deals. Your feet will thank you. Just click here and use the code CYBERMONDAY25.